I cannot get the Services (boxes) to center. There are four. Number of sections is set at 4. How can I get them to center? They will not center for me. Do not select duplicate pages there. I’m not talking about number of sections. 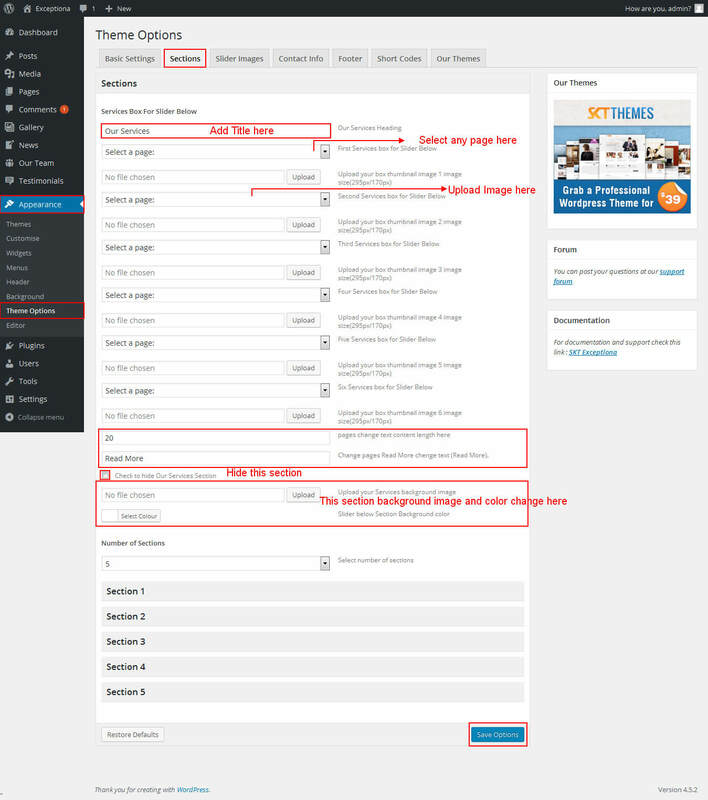 Above the sections there is a option to select pages for homepage boxes. Select only 3 pages there from the dropdown. Aaaaaaah, I see what you mean!